Dan has an Associate Degree in Business Accounting from the Pennsylvania College of Technology. 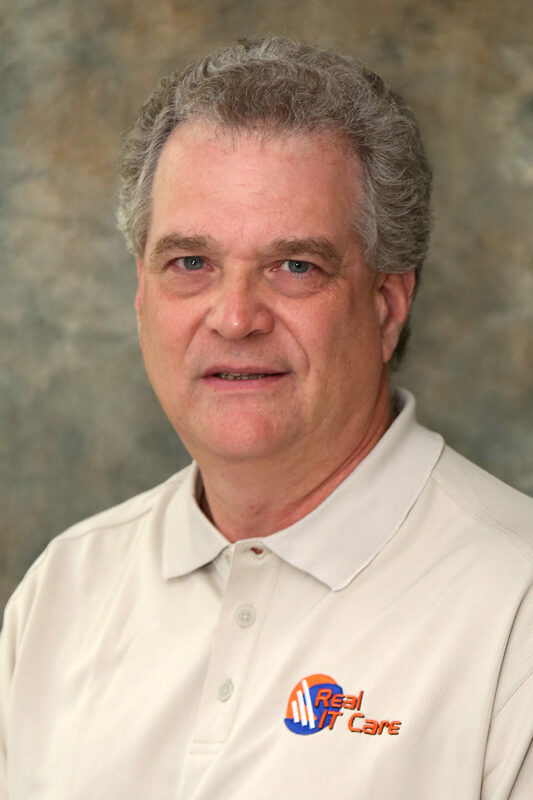 Dan began his work in the business community over 40 years ago in his family’s commercial printing and retail stationery store in Williamsport, PA. He believes that learning to keep pace with the constantly evolving technology industry has helped him to easily adapt to new situations and challenges during his career. Dan has worked primarily in accounting and administration for several different area businesses throughout his career. In addition, Dan has also taught entry-level certificate courses for the Pennsylvania College of Technology on the Microsoft suite of products as well as basic Windows techniques for the Microsoft Windows operating system. As the bookkeeper, Dan manages the dollars and cents for Real IT Care and generates the reports that assist management in making the financial decisions necessary to sustain and grow the organization. He believes that maintaining positive, mutually respectful customer relationships built on trust is the key to being successful in business. When not at work, Dan enjoys spending time with family and friends, fly fishing, bowling, and flying remote-controlled models.